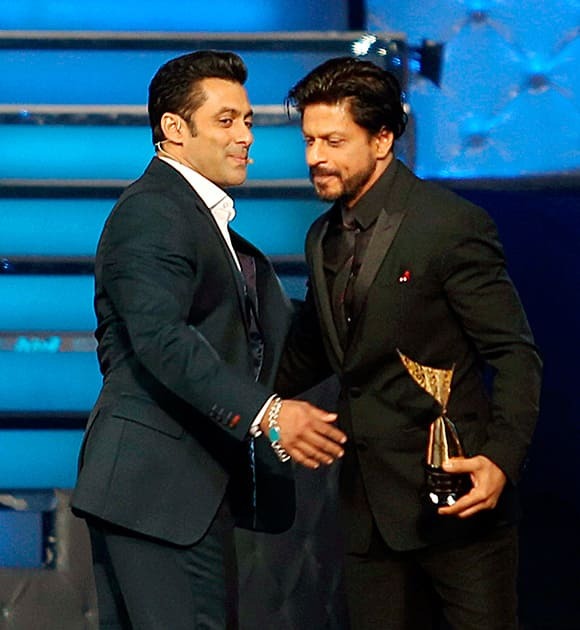 Salman Khan and Shahrukh Khan during an Awards show in Mumbai. 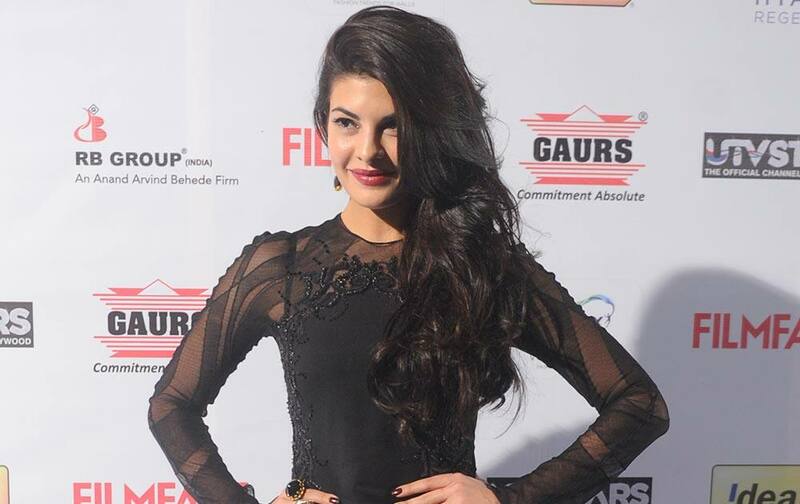 Sonakshi Sinha and Kareena Kapoor during an Awards show in Mumbai. 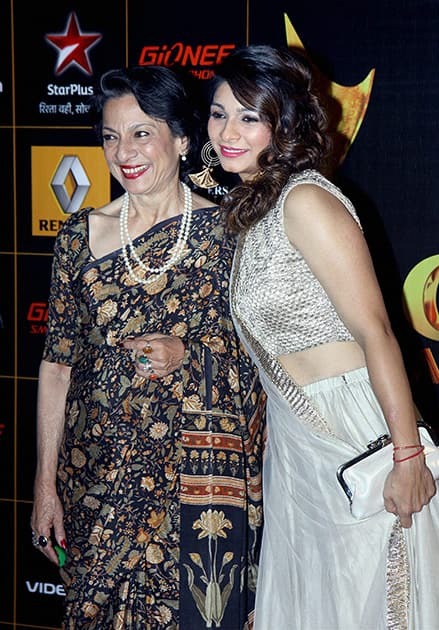 Tanisha Mukherjee with mother Tanuja during an Awards show in Mumbai. Bollywood actress Bipasha Basu at a release of her Fitness DVD in Mumbai. Sandra Bullock arrives at the 19th annual Critics' Choice Movie Awards at the Barker Hangar, in Santa Monica, Calif.
Bollywood actor Saif Ali Khan interacts with a tourists after a shoot for his upcoming film.